Beyond Pushkar: Did you know of these 6 Brahma temples in India? The Brahma Temple in Pushkar is not the only Brahma Temple in India. The temple at Pushkar may well be the most famous one in the world dedicated to Brahma but it certainly isn’t the only one. It is however the oldest temple dedicated to Brahma. Legend has it that Brahma, when compared to the other gods was a lot more lenient and would bless his devotees whole-heartedly. There were several instances when he’s bless devotees with boons without considering the repercussions of his blessings. He is said to have blessed demons from Hiranyakashipu and Mahishasur to Ravana, causing them to torment people and several gods too. Due to this Vishu and Shiva would have to take control of situations and kill the demons with their various avataras. Since Brahma continued to be lenient, people stopped worshiping him and instead offered prayers to Vishnu and Shiva. Another legend states that Brahma created a lady deity, Shatarupa, one with a hundred forms. As soon as she was created, Brahma was infatuated by her and followed her everywhere in order to pursue her. However, she tried avoiding him for as long as possible. But Brahma was adamant enough to give himself five heads. One in each direction — north, south, east and west and the fifth head above the others. Since Shatarupa was considered to be be Brahma’s daughter, Shiva cut off Brahma’s fifth head as an incestuous relationship was not considered to be appropriate. Since then, Brahma has is believed to be the ignored one among the trimuthi, Brahma, Vishnu and Shiva. 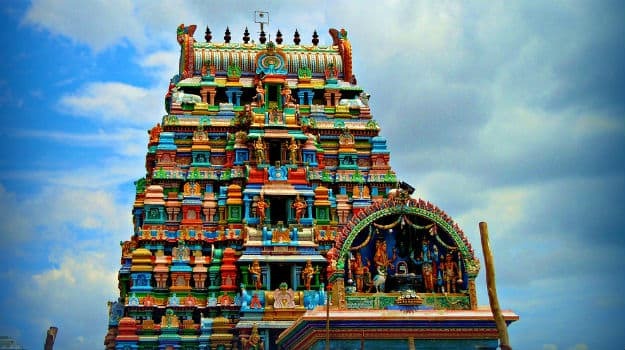 However, over time, Brahma is said to have sought repentance and forgiveness and several other temples were built and established to worship the creator, Brahma. Here are few of the most revered Brahma temples in India. The Brahma Temple located near the Pushkar Lake in Ajmer district of Rajasthan is one of the most visited Brahma temples in India. In the Hindu month of Kartik (November), pilgrims visit the temple and take a dip in the lake and offer prayers to the deity. Did you know? There is a good chance you can spot peacocks in the vicinity. If you’re lucky, you might spot one on the temple roof. The Asotra Temple is located in the Barmer district of Rajasthan. It is yet another temple that is primarily dedicated to Brahma. It was established by the Rajpurohits of the village and is built in Jaisalmer and Jodhpur stone. However, the idol of the deity is made of marble. Did you know? Over 200 kg of grains are fed to birds every single day here. The Adi Brahma Temple is located in the Khokhan area of the Kullu valley. Legend has it that, the temple was worshiped by people from both, the Mandi and Kullu district. 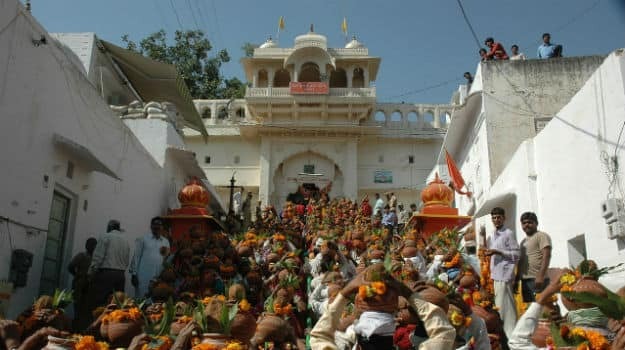 However, as the two kingdoms split, there was a replica built on the other side, at Mandi and devotees had to stick to the visiting the temple that belonged within the boundaries of the kingdom. Did you know? The temple gets the prefix, Adi from the significant amount of Buddhist influence among the people arund. It is believed that Brahma was proud of his gift of creation to the extent that he boasted of better than Shiva and Vishnu at the art of creation. This caused Vishnu to create a ghost who went on to scare Brahma. Terrified, he came to Vishnu for help, after having apologized for his immodesty. Vishu then asked Brahma to observe penance on Earth to redeem himself. 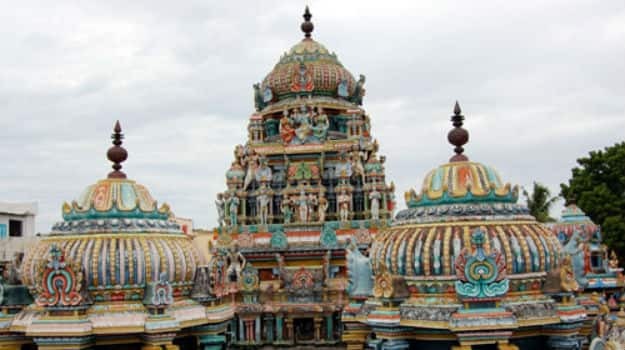 It is believed that Brahma chose Kumbakonam to meditate. Please by Brahma’s attempts, Vishnu accepted his apology and reinstated his knowledge and status among the gods. 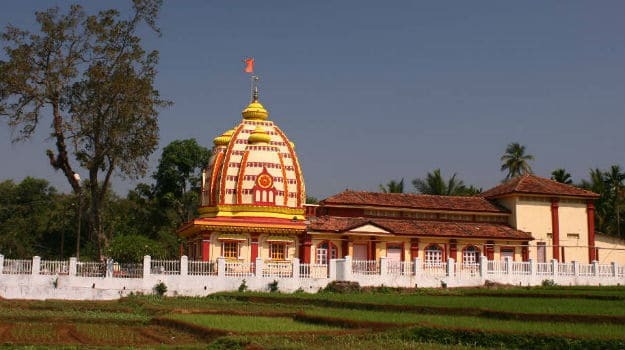 The Brahma Kamrali temple is located around seven km from Valpoi and around 60 km from Panaji. Though the temple is not as old, it is believed that the idol dates roughly back to the 11th century. It is definitely the only temple in Goa, dedicated to Brahma. It is said that the black stone statue of Brahma placed in the temple was brought Carambolim, Goa, only in the 20th century, by a large section of devotees who escaped the religious intolerance imposed upon them by the Portuguese. Legend has it, Shiva’s consort, Parvathi, once mistook Brahma to be Shiva. This angered Shiva and he cut off one of Brahma’s head and cursed him to be forgotten by his worshipers and stripped him of all his powers. Soon, the pride in Brahma crumbled and he pleaded for forgiveness. However, the angered Shiva wasn’t ready to accept his apology. To mend everything he had done wrong, Brahma set on a pilgrimage. On his journey, he reached Thirupattur, where he installed 12 shiva lingas and worshiped Shiva there. Moved by his attempts to redeem himself, Shiva appeared in front of Brahma, relieved him of the curse adn restored all his powers. Shiva then blessed Brahma and granted him a shrine at the temple. Since then, Brahma has been the deity of the temple.